"This technical tee, with V neck or half zip, guarantees mountaineers maximum moisture wicking and exceptional next-to-skin comfort. An active base layer featuring efficient WOOL BLEND 150, with merin o wool, for teamed benefits to always keep you dry. Naturally thermoregulating, soft and anti odor, wool adapts to ambient temperature and thus maintains thermal balance. 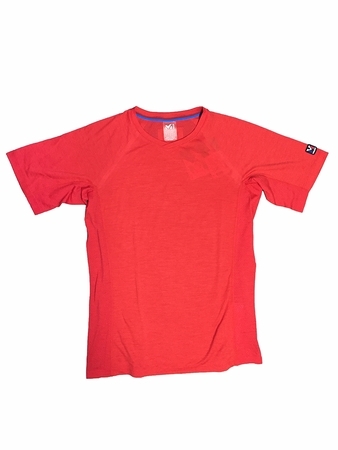 Polyester prioritizes moisture wicking, with short drying time and greater resistance to wear. Crafted in a body-mapped knit, with lower density on the back and sides to further optimize wicking, the TRILOGY WOOL tee has an ergonomic design with seamless pits for maximized mobility.